New research constantly uncovers new diabetes drugs that are developed by biotechnology and pharmaceutical companies through several clinical trial phases. To be approved for use amongst people with diabetes, new diabetes drugs and medications must go through stringent testing to ensure their efficiency. Most new diabetes drugs serve a specific purpose, such as better controlling blood glucose or increasing the efficiency of another medication. Drugs can take up to 10 years to come to the market. When drugs are referenced in the media about their positive impact on mice or other test subjects, it is often several years before they are tested on humans. The following diabetes drugs are currently under development. The following drug is in development for the treatment of both type 1 and type 2 diabetes. NN1250/Insulin Degludec is being developed by Novo Nordisk and has reached phase 3 clinical trials. This is a completely neutral, soluble, and subcutaneous ultra-long-acting new-generation insulin that lasts for over 24 hours. This insulin is designed for basal insulin treatment of both type 1 and type 2 diabetes mellitus. Also under development is NN5401/Insulin DegludecPlus. Update: Insulin Degludec was launched in the UK in February 2013 under the trade name Tresiba, but was rejected for use by NHS Scotland in April. LY2405319 is a new drug being developed by Eli Lilly. The drug is in a new class of treatments known as FGF21 analogues. FGF21 stands for fibroblast growth factor 21, which is a hormone in the body that stimulates glucose uptake of adipose cells (fat cells). In initial phase 1 human studies, the drug has shown beneficial effects on blood lipid levels, blood glucose levels and reduction in body weight. At time of writing, September 2013, the medication has yet to undergo trials into its long term safety. Albiglutide is a GLP-1 agonist, and therefore in the same class of drugs as the medications exenatide (Byetta), liraglutide (Victoza) and lixisenatide (Lyxumia). The drug is being developed by GlaxoSmithKline plc and was submitted for European marketing approval in March 2013. Aleglitazar is a in a class of drugs known as ‘dual PPAR modulators’. Dual PPAR modulators are insulin sensitizers and work in a similar to drugs such as Pioglitazone (Actos) and the recently banned Rosiglitazone (Avandia). Aleglitazar is currently in phase 3 trials to determine its safety. With Aleglitazar in the same drug class as Avandia, a drug which was withdrawn from the market in Europe over concerns about increased heart disease, the drug will particularly need to show it does not impact upon cardiovascular health. Update: In July 2013, Roche ended development of the medication after safety showed it to be associated with an increased risk of bone fractures, kidney problems and heart failure. DiaPep277 is being developed by Teva/Andromeda biotech and is currently at phase 3 clinical trial stage. DiaPep277 falls into the class of injectable synthetic peptides, and is made up of 24 amino acids that are derived from the human heat shock protein 60 (HSP60). This particular peptide helps to modulate immune system function by diminishing or entirely blocking the destruction of beta cells by the immune system. This helps to preserve beta-cell function amongst people with new-onset type 1 diabetes mellitus. Phase 3 studies are expected to be completed in 2014. This drug is being developed by Eli Lilly/MacroGenic. It is currently at phase 3 and is an intravenously humanised anti-CD3 MAb which could help to inhibit autoimmune response that damages pancreatic beta cells. The drug is designed for patients with recent onset type 1 diabetes aged 8 or over. Results of a phase 3 studies showed promise with newly diagnosed patients with type 1 diabetes showing increased C-peptide levels, a measure of the production of the body's own insulin, in comparison with patients not on teplizumab. GAD-alum/rhGAD65 is being developed by Diamyd Medical/Ortho-McNeil Janssen Pharmaceutical. This vaccine helps to preserve beta cell function amongst recent-onset type 1 diabetes mellitus and has also reached phase 3 clinical trial. The vaccine is injectable subcutaneously. In May 2011, the vaccine delivered disappointing results in European phase 3 trials and the American phase 3 study has been halted as a result. Read the news: Diamyd type 1 diabetes vaccine stalls in European trials. 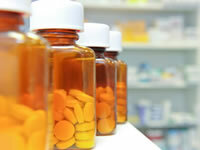 In 2013, a new trial is planned to test Diamyd in combination with vitamin D and the anti-inflammatory drug Ibuprofen. Otelixizumab is under development by Tolerx/GlaxoSmithKline and failed to meet a phase 3 goal in March 2011. This is an MAb (monoclonal antibody) that is intravenous and injectable anti-CD3. This MAb may serve to block the function of T cells that erroneously attack and destroy pancreatic beta cells. These cells produce insulin and their destruction is behind diabetes in many type 1 patients. The MAb is also thought to stimulate regulatory T cells that may help protect effector T cell damage. The medication is designed to treat new onset type 1 diabetes mellitus. Otelixizumab failed to meet targets for effectiveness in its DEFEND-1 phase III study and recruitment for the DEFEND-2 study was suspended. Eli Lilly appear to have come one step closer to cracking one of the diabetes drug mysteries - how to target the complications caused by the disease. Arxxant, a new drug from Eli Lilly, promises to block the enzyme thought to be responsible for the damage leading to these complications. Arxxant (also known as ruboxistaurin) has been submitted to the FDA (Food and Drug Administration) for approval in treating diabetic eye damage. Update: Phase 3 trial goals were not met and development of the drug was discontinued in 2012.